If Facebook's $1 billion acquisition of photo-sharing-app darling Instagram was a shock to investors earlier this month, the social networking giant's board of directors probably had the same reaction. According to The Wall Street Journal, Facebook CEO Mark Zuckerberg negotiated a buyout with Instagram CEO Kevin Systrom in private. Systrom initially wanted $2 billion for the company that has become a hit with digital shutterbugs given its seamless editing features and irresistible price. It's free. Now, $2 billion is a steep price for a profitless company -- especially one that also isn't generating any revenue. After a few back-and-forth volleys between Systrom and Zuckerberg at Zuckerberg's home, the two agreed on a $1 billion buyout. Reports later surfaced that Twitter was also interested in gobbling up Instagram. The shocking part of the Instagram deal -- according to the Journal -- is that many members of Facebook's board didn't even know that a deal was in the works until the terms were finalized. They didn't stand in Zuckerberg's way. There are plenty of positive things to be said about founder CEOs who have a sense of swagger. Oracle's (ORCL) Larry Ellison is brazenly confident. He'll bash a smaller rival during a quarterly conference call, only to step in as an opportunistic acquirer a few months later. Where would Apple (AAPL) be if Steve Jobs hadn't come back to return the company to its trademark qualities of premium design and bar-raising innovation? 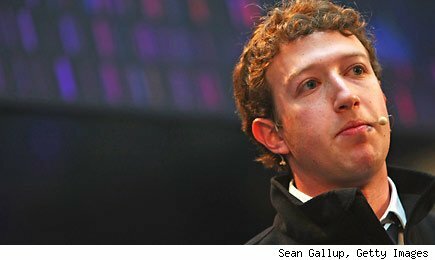 Zuckerberg has a right to be cocky. His company is about to go public next month in a deal that may value Facebook at a cool $100 billion. He was ridiculed for turning down buyout offers at much lower price points along the way. His ego has been the stuff of books and even celluloid, but he's a winner. The same can't be said for most of his critics. Will Facebook's IPO Smack Down Apple? However, Zuckerberg will soon learn that a board of directors is there for a reason. It's part of the checks and balances in the corporate system that make sure that executive compensation doesn't get out of whack, that only competence and excellence is promoted, and that a strong-willed 20-something CEO can't just barge into a boardroom to ask for a $1 billion check to buy an app maker that wasn't even around two years ago. Facebook has grown to more than 845 million global users. It would be silly to question Zuckerberg's vision -- or even his math in this month's Instagram purchase. But while it's easy to want to bet on Zuckerberg, there's something wrong with Facebook's board if it lets him get away with this kind of behavior. It sets a scary precedent for showdowns in the future. The board that lets a CEO push it around now is not going to suddenly grow a spine in the future. Oh, and if there won't be showdowns in the future, then the board isn't doing its job. The child isn't supposed to bully the parents. "It's the first time we've ever acquired a product and company with so many users," Zuckerberg wrote in Facebook's blog after the deal. "We"? Who are we kidding. Facebook has a problem, and it's bigger than some $1 billion check. Motley Fool contributor Rick Munarriz does not own shares in any stocks in this article. The Motley Fool owns shares of Oracle. The Fool owns shares of Apple. Motley Fool newsletter services have recommended buying shares of Apple. Motley Fool newsletter services have recommended creating a bull call spread position in Apple.